FoodBoss, the world’s largest online food ordering search engine that aggregates multiple food delivery services in one place, and allows users to find the best delivery deals, today announced a seed plus round of more than $2 million. The fundraising round was led by Cleveland Avenue LLC, a food/beverage-focused venture capital and consulting firm founded by Don Thompson, former President and CEO of McDonald’s Corporation. Michael DiBenedetto, co-founder and CEO of FoodBoss, came up with the concept while ordering take-out, and felt overwhelmed by the huge amount of competing information. “I wondered whether it would have been faster to just run out of my apartment and grab a bite to eat. I literally said, ‘there should be a search engine for all this stuff like there is for travel,’ and as soon as the words came out of my mouth, the concept was born,” said DiBenedetto. FoodBoss’ simplifies the food delivery experience for consumers by aggregating all the available information about food delivery fees, wait times, and options onto one website and app. FoodBoss has found that by streamlining the ordering process, consumers who visit to their site are much more likely to complete an order with one of their partner services. “The Cleveland Avenue team’s industry experience and insight will help FoodBoss become the number one convenient and hassle-free way to order food delivery,” said DiBenedetto. FoodBoss (foodboss.com) is a venture funded online food ordering search engine that allows consumers to search, compare, and select the best food delivery option from a restaurant. 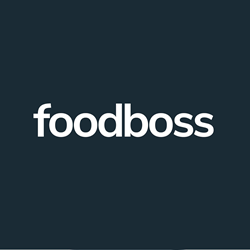 FoodBoss enables users to see all restaurants that offer online ordering - not only restaurants that use third-party ordering platforms (Uber Eats, Postmates, Caviar, Delivery.com, EatStreet, etc.) but restaurants that conduct their own online ordering as well. FoodBoss provides complete information to consumers by aggregating over 50,000 restaurants nationally always finding the best deal on food delivery. Cleveland Avenue, LLC is a privately-held venture capital firm which accelerates and strategically invests in innovative restaurant, food and beverage concepts and emerging brands including Beyond Meat, Drink Maple, Bhakti, Farmer's Fridge and SomruS. Visit us at http://www.clevelandave.com and @CleveAveLLC on Twitter and Instagram.